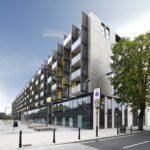 Developers Mount Anvil were determined to make their new residential development in Southwark’s Union Street stand-out with an unusual design that would require specialist knowledge and expertise. With many other developments coming to market in the capital, the developers had an eye-catching and ground-breaking design in mind. 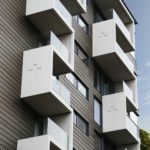 The building of these one and two bedroom apartments, in the shadow of the impressive Shard Tower, was to consist of an unusual array of balconies weaving their way up the building to stunning effect. 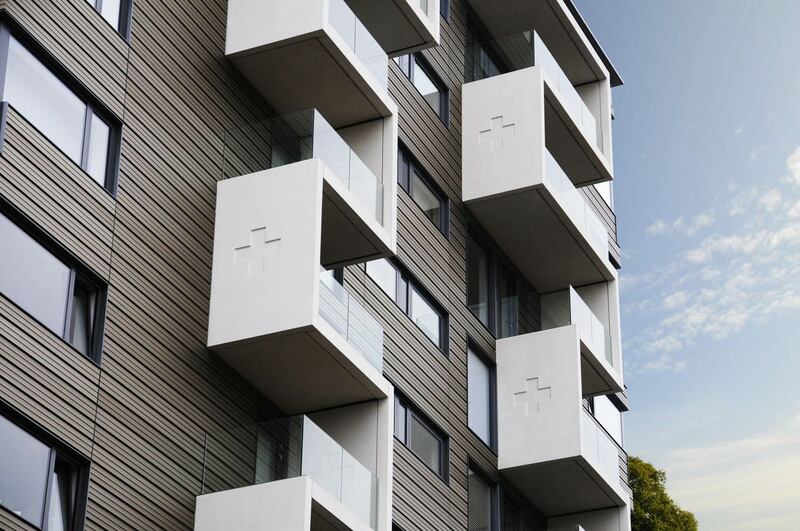 The balcony panel design concept also featured several recessed ‘crosses’ to respect the rich history of the site which was formerly home to a hospital. 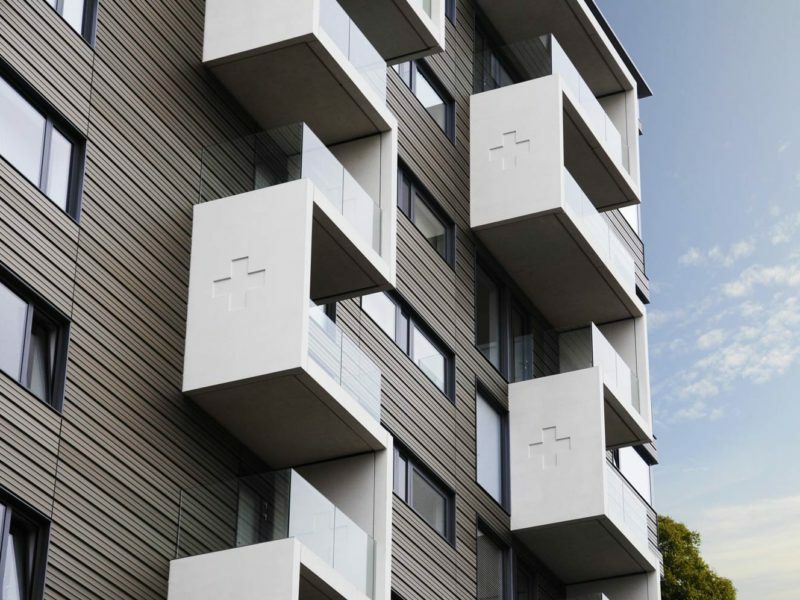 Initially, the aim was to use precast concrete panels, however almost immediately questions were raised about the weight and related load bearing implications of the cantilevered balconies on the building. This meant that all potential design and product solutions had to be investigated, including GRC cladding. GRC (glass reinforced concrete) is an effective and durable mix that is much lighter than traditional concrete. This also means that GRC is not only lighter to use but there are often valuable cost savings to be had. GRC can help to bring to reality some very ambitious design ideas. GRC is also as durable and effective as concrete but without the weight or installation constraints. 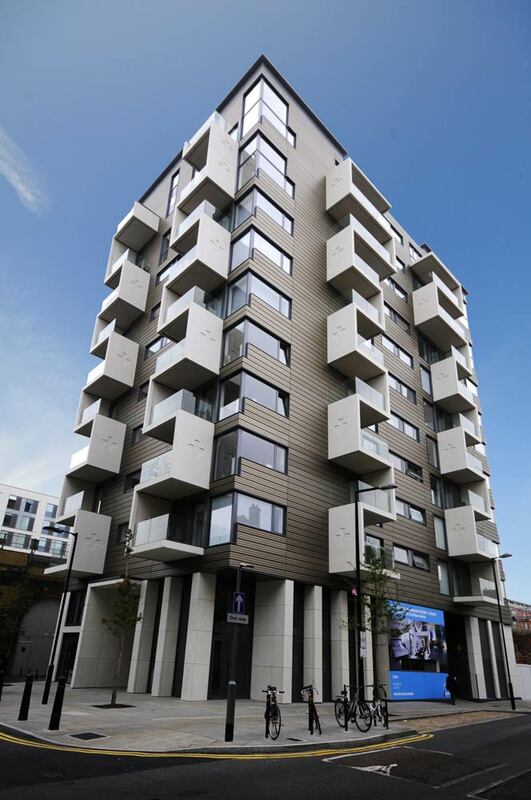 The designers and developers responsible for the Union Street project façade approached the UK leaders in developing and creating GRC solutions, GB Architectural Cladding Products Ltd who are based in Liversedge in West Yorkshire. The bottom line is that any project that uses GRC products will probably save time and money and look fantastic for the entire design life of the building. The façade installers, English Architectural Glazing (EAG) were set the challenge of creating, then installing a product that would satisfy all of the aesthetic and performance requirements. GB Architectural then worked closely with EAG and consultant designers Smart Crosby International to complete ‘the GRC solution’, for the some 2,500 square metres of cladding all to be installed by the springtime of 2014. 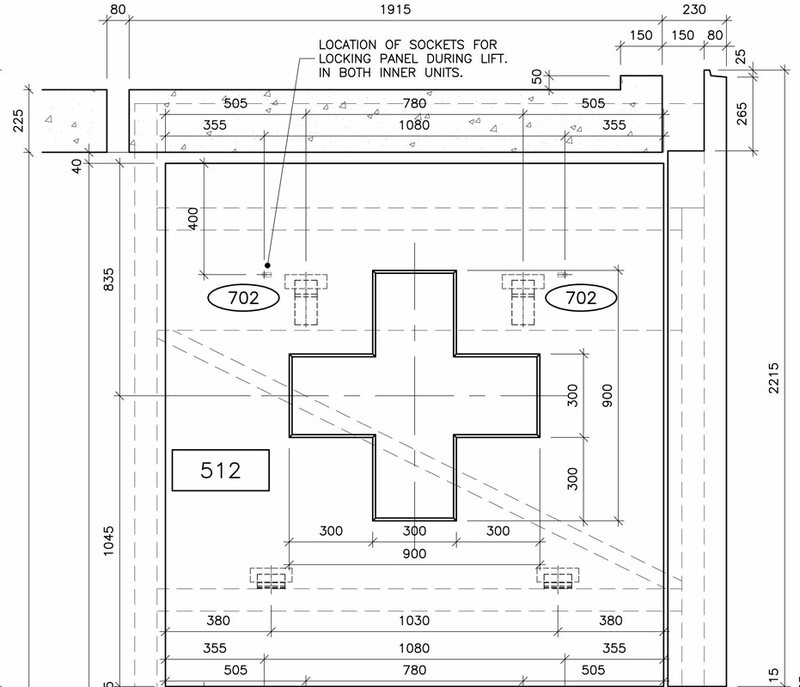 The design team spent a lot of time working on the specifications as well as providing safety guarantees that the GRC product will perform as it should do. This meant extensive testing for wind loads, deflectional forces, and steelwork tolerances among the variety of problems that might present themselves. After much deliberation and testing, the final signed-off design for the panels and fixing connections provided a lightweight solution while still offering the durability and performance that the development team were looking for. 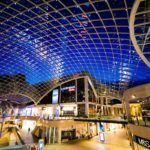 Kevin Heaton the Technical Director of GB Architectural, explains: “Uppermost in mind with regards to GRC and GB Architectural, was the conviction that we could confidently deliver on time the product design that we developed and also, crucially, within budget. These are big pluses for any major building project, particularly this one where costs and time frames could easily have spiralled. 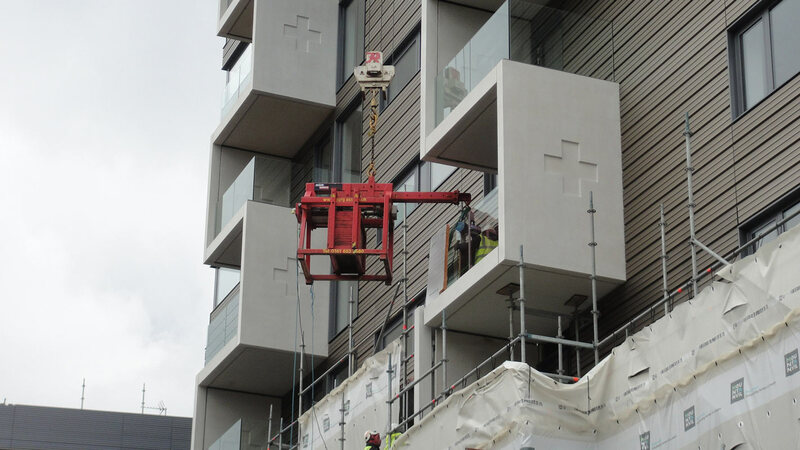 In conjunction with the panels’ manufacture and finishing, the team from GB Architectural had to establish precisely how to sequence, package and then deliver them onto a site in the heart of central London. The panels’ installation began in October 2013 and was completed, in entirety within 16 working weeks. Indeed, the Union Street scheme is another major project by GB Architectural that was well designed, made to the highest standards and then delivered on time and within budget. The project illustrates GB Architectural’s desire to meet every expectation from a client by ensuring that there is an adequate production slot in the factory process and then stockpiling the product until it is ready for delivery. 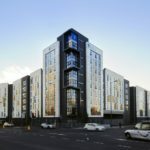 Kevin explains: “As a result of project completions such as Union Street, there’s no doubt that the advantages of using GRC panels are beginning to become well-known in the building fraternity. 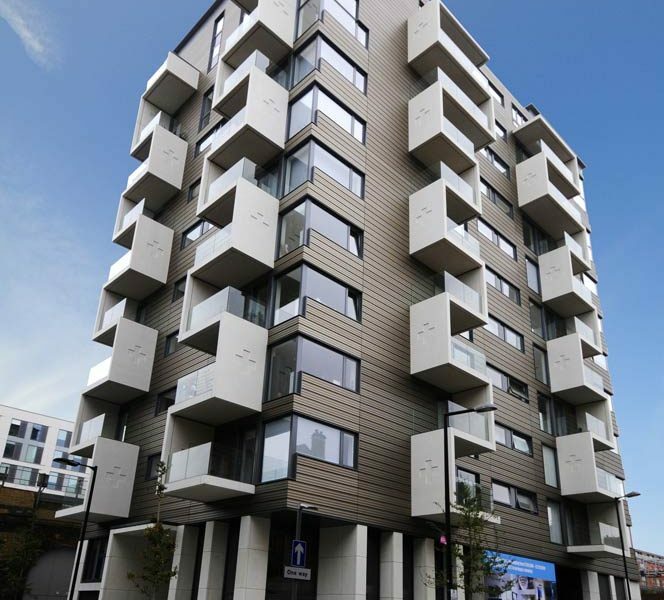 For more information about GRC cladding products and their suitability for building projects, contact Andrew Garside at GB Architectural Cladding on (01924) 404045 for an informal chat or visit their website to learn more about some of the major construction projects they have helped to succeed.